NO ifs, ands or buts! Simply Scandinavian! NO added sweetener - NO gluten - NO dairy - NO grains - NO GMO - NO fillers - NO binders - NO preservatives - NO misleading claims NO processed ingredients and NO ingredients you can't pronounce. This infamous flavor combination has Girl Scouts running out of stock across the nation and these raw cacao morsels are the real deal! 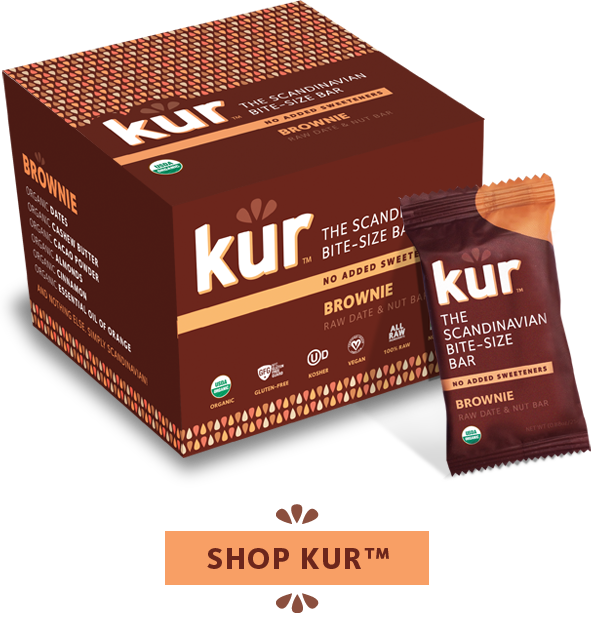 Kur™ Cacao Mint are so full of decadent flavor that you’ll feel the mint tingle all the way to your toes. And nothing else. Simply Scandinavian! Think of a perfect coconut pie. Now think of those sweet succulent tropical flavors poured into a bite-size bar that you can pop into your mouth anytime you like. Sound too good to be true? One bite of Kur™ Coconut Cashew will prove otherwise.